Published in the Luxor Times on 1 January, the first discovery in Egypt of 2015. Found in Qurna, on the Nile close to Luxor, this is an Osirieon, a kind of God’s tomb, dedicated to Osiris. It just goes to show how much still lies buried beneath the sands of Egypt, awaiting discovery. 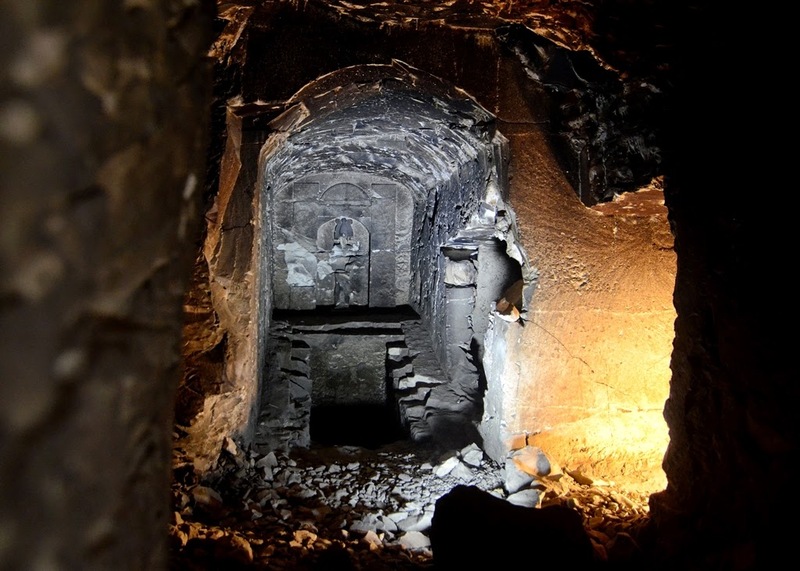 As a fiction writer of an adventure/mystery series set in present-day Egypt, these continued discoveries are beyond thrilling. My characters have been lucky enough to make a few discoveries of their own. Some might say their ‘finds’ are far-fetched, and they’d probably be right. My characters are not archaeologists or excavators. Meredith (Merry) Pink starts her adventures in Egypt as a simple holidaymaker. 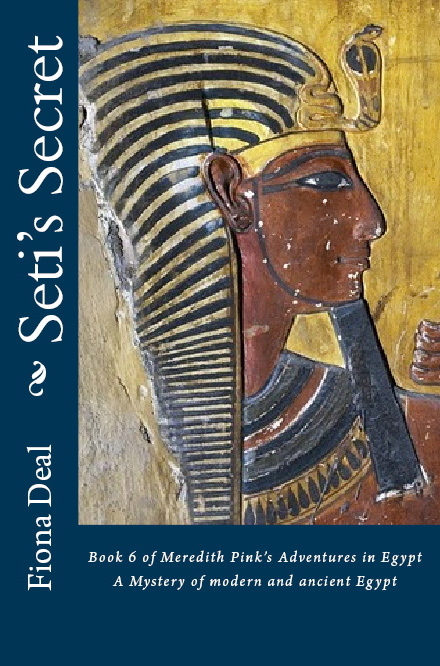 She counts herself fortunate when she meets a would-be Egyptologist who then introduces her to a professor who is the real thing, and can help her out with what she’s found. Carter’s Conundrums is Merry’s first adventure. 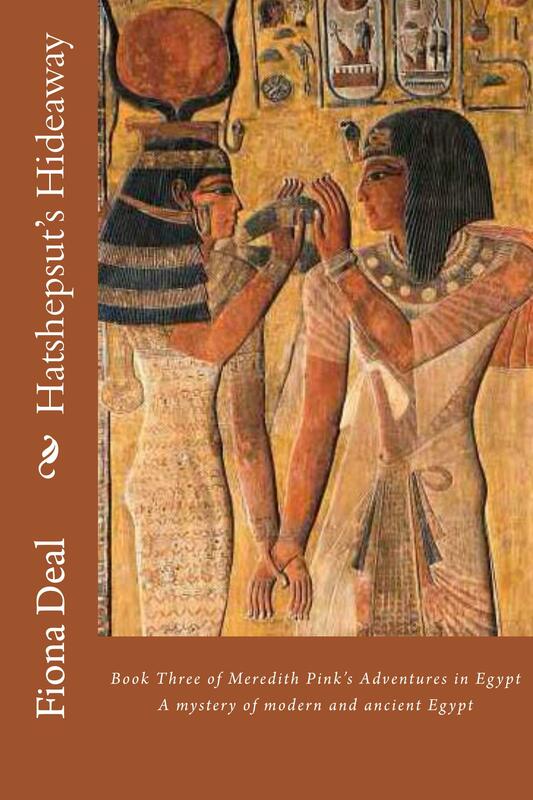 It’s the story of an accidental discovery that sheds new light on Howard Carter’s discovery of Tutankhamun’s tomb. And it poses a few questions about what else he might have found that the world wasn’t told about at the time… Writing it, I gave myself the imaginary holiday of a lifetime! I hope it does the same for my readers. There are a further five books so far in the series. 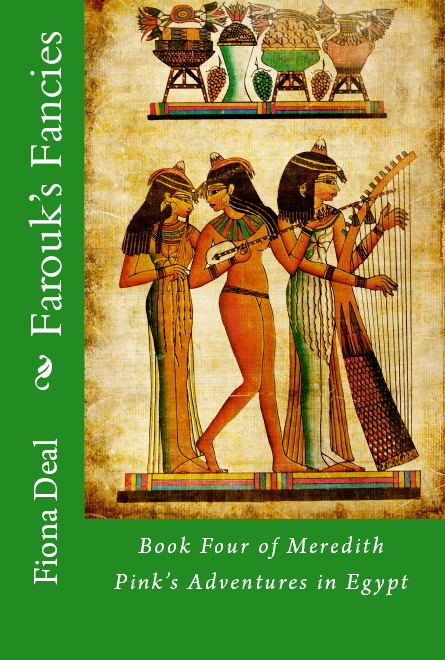 In each one Merry plays a part in unlocking a secret from Egypt’s ancient past. 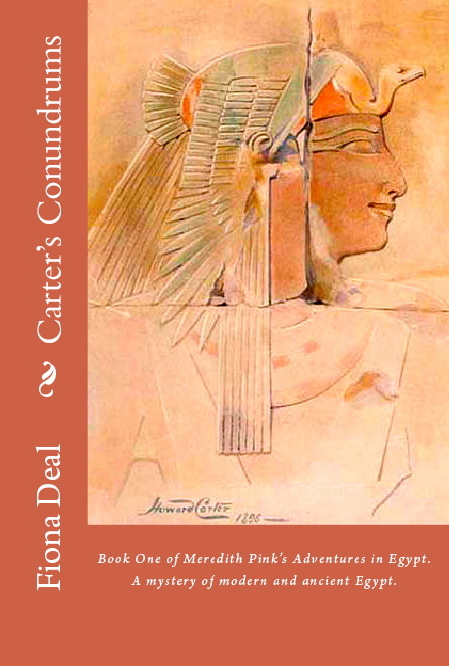 The series is a joy to write and all the time new discoveries are coming to light, I know there will be plenty more ancient Egyptian mysteries for Merry to explore. 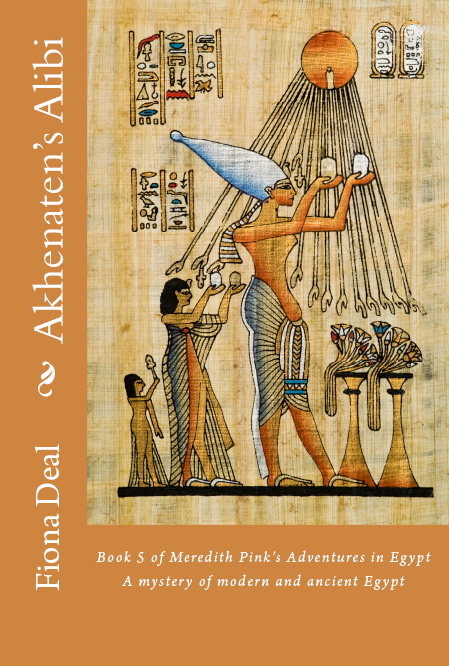 All six books in the series following Meredith Pink’s Adventures in Egypt are available to download or in paperback on Amazon. Posted on January 3, 2015 by Fiona Deal. 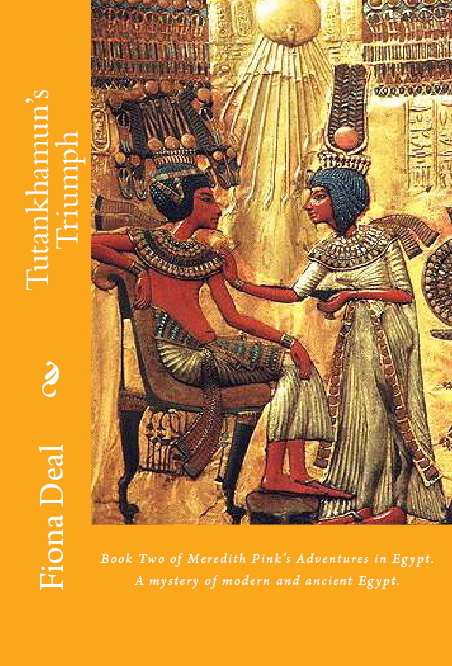 This entry was posted in ancient Egypt, archaeology, Egypt, egyptian fiction, fiction, History, Travel, Uncategorized, writing and tagged ancient Egypt, archaeology, books, egypt, excavation, Luxor, Luxor Times, Meredith Pink, novels, sands of Egypt, writing. Bookmark the permalink.